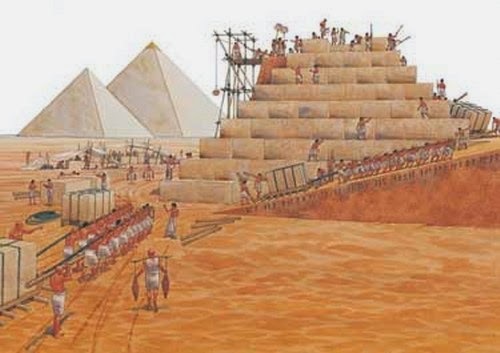 We learned that slaves were forced to build the pyramids in Egypt, but recent evidence does not support this misconception. In fact, in the 1990’s researchers were digging near the pyramids and found tombs belonging to those who worked on the pyramids. Although the workers were not mummified, they were buried with bread and water, which was believed to support them in the afterlife. Because of this, and the manner of their burial, it is now believed that they were respected workers who took great pride in their work. So, basically slave come from the following reasons. One is that scientists did not believe a paid workforce was capable of such a feat, yet they have since learned that 10,000 laborers worked for three months at a time in interval shifts. Another reason it was thought to be slave labor was because of Hollywood. Because Egyptians were known to have slaves, they were always portrayed as building pyramids, dispersing the fallacy.